Make an overnight stop along South Downs Way and turn an easy day out from London into a magical outdoor vacation. The route passes near dozens of historic, typically English towns and villages on its way from the Saxon capital of Winchester to the gleaming white cliffs near Eastbourne. Though several key points along this 100 miles national trail make good day trips, spending a week walking in the South Downs can be truly rewarding. Local tourist authorities have lists of dozens of B&Bs along or near the route. But, for a real treat, stay in one of the country house inns or luxury hotels on or near the route. The South Downs Way takes off from Winchester, a Cathedral city also known as the Saxon capital of England. In its Great Hall, built by Alfred, a round table takes pride of place. It isn't really King Arthur's round table, but it is more then 650 years old so people like to imagine that it is. The ruins of Wolvesy Castle, next to the city's cathedral, show the one time wealth and status of the bishops of Winchester. The last known great occasion in this 12th century Norman keep turned bishop's palace was the marriage of Queen Mary to King Philip of Spain in 1554. Literary fans will enjoy visiting Jane Austen's house , about half an hour away on the A31. History buffs can visit Iron Age and Roman forts in the area. Hotel du Vin-Winchester, dates from 1715. It's a cosy, 24-room boutique hotel in an important Queen Anne-style building, close to the city's most historic district. In 2018, rooms were priced from £130. Hotel du Vin is a small British hotel chain that specializes in sensitive repurposing of interesting and historic city center buildings. They always, as their name suggests, have excellent wine lists. This one also has a cigar room. No. 5 Bridge Street is a modern gastropub with elegant, boutique rooms upstairs. Even better, it's less than 100 feet from the National Trust's Winchester City Mill, the official western end of the South Downs Way and also the oldest working watermill in the country. It's just the right place for an early start. Rooms start at about £110 for a double, bed and breakfast. Portsmouth,the historic home of the Royal Navy, is also within about 10 miles of parts of the South Downs Way. A visit here should include the narrow streets and ramparts of the historic old city and port as well as a climb up the town's stunning millennium project, the 170-meter-tall Spinnaker Tower. Portsmouth's 12 museums tell 800 years of history, from its beginnings as a Saxon fishing port to its eventual role as the home of one of the world's greatest seaborne fighting forces. Fortitude Cottage-- a small house rebuilt after WWII on the site of a 16th century cottage. Almost beside the water, in the old port, close to several historic tall ships,including HMS Victory, Mary Rose and Warrior, this charming little B&B gives you a real sense of Portsmouth's 18th and 19th century heydays.Ask for the top floor double with its own private balcony and roof terrace for a 360 degree view historic Portsmouth. Rooms start at about £150 but they book up quickly. G! Boutique in the Southsea area of the city is a quirky, modern, family run hotel decorated in a minimalist style with flashes of bright colors. Standard doubles start at £80 in 2018. The historic Cathedral City of Chichester is a good place to take a break from a South Downs Way hike. But if you want to do a bit of walking, circumnavigate the old town on the Medieval Walls. It will take about an hour to stroll the 1.5 miles. The walls are built on Roman foundations going back to the third century. In the middle of it all, the 1,000 year old Chichester Cathedral is a must. After a visit to the Cathedral, stop by one of our favorite local pubs The Old Cross. Chichester is also home to the Chichester Festival Theatre and to Goodwood where, depending upon the season, you can sample thoroughbred racing, motor circuits and golf. Some say that Goodwood, on the grounds of the Goodwood Estate - home of the Dukes of Richmond for 300 years, is one of the prettiest racetracks in the world. Certainly the little boat haven of Bosham (pronounced Buzum)is one of the prettiest reaches of the lovely Chichester Harbour. The Millstream Hotel in Bosham Harbour. A 35 room, very English hotel surrounded by its own gardens, near the waters edge in a hamlet that, at high tide is virtually underwater. Storybook pretty, but careful where you park. At the Crab & Lobster you can reward yourself for all that South Down's walking with a bang up seafood feast. This is a highly regarded restaurant with luxury rooms in the Sidlesham section of the city. Standard rooms start at £185 on weeknights and there are single rooms for £110. Amberley, beside the River Arun's water meadows, and Arundel, on a hill above it, are classic English castle towns on the South Downs Way. Visit Arundel for its fantasy, 1,000-year-old, Norman castle, still home to the Duke of Norfolk, and its amazing 19th century Gothic Cathedral -- the view of both, from the distance, is truly like something out of a story book. Later, stay in a castle in Amberley, a tiny, mostly 16th century hamlet with picturesque thatched cottages -- look for a bird or a squirrel worked into the thatch near the chimney, a local tradition. Amberley Working Museum, in an abandoned chalk quarry, relates the local history of the industrial revolution. Amberley Castle, once home to the Bishops of Chichester. It has been twice voted one of the world's Top 20 Leisure Hotels by readers of Condé Nast Traveller Magazine. It is a real ancient keep and Bishop's Palace with luxurious, individually decorated, 4-poster rooms. You can even drop in by helicopter from London if you're not up to hiking the South Downs Way. The Swan Hotel, in the center of the very pretty town of Arundel, is a large, traditional country pub with 14 recently redecorated and stylish rooms. The kitchen is run by Fullers, the London brewery and pub chain noted for very good quality pub cooking. Bed and breakfast starts at £99 in 2018. Brighton has been a famous British seaside resort since the Prince Regent (later George IV) made it fashionable in the early 19th century. His palace, the Royal Pavilion, is Britain's most flamboyant and exotic landmark. Brighton is one of the liveliest, most sophisticated places near the South Downs, with very good restaurants, a charming antique-filled district called the Lanes, a traditional Victorian pier, varied nightlife and a well-established, affluent gay community. Brighton is only 60 minutes by train from London Victoria Station. The Grand Hotel If the readers of the Daily and Sunday Telegraph are to be believed, this is one of Britain's most highly rated hotels, coming in third, behind only Gleneagles and the Savoy in a Best of British competition. Right on the seafront, this is also Brighton's only five star establishment. It's a really old school example of Victorian seaside luxury - ornate public spaces, large rooms with sea views. And in 2018, its 154 year old Victorian facade has been undergoing a face lift - due for completion in the fall. If you want to spend one glorious night in old fashioned splendor (or the similarly named Grand Hotel in Eastbourne) is the place. Doubles start at £150 but the feature, seaview rooms are more than £300 a night. Malmaison Brighton Marina - Formerly the Hotel Seattle, this moderately priced boutique hotel is part of the Brighton Marina development, with sea views and a slightly Asian theme -- Breakfast in bed arrives in laquered bento boxes.Decor is funky, in keeping with Brighton's alternative vibe. And some rooms begin as low as £80. Eastbourne is probably the most sedate of England's South Coast seaside resorts. It's famous for its beaches -- which include a few of the only sandy beaches on the south coast -- and for its gleaming white, Victorian and Edwardian architecture. 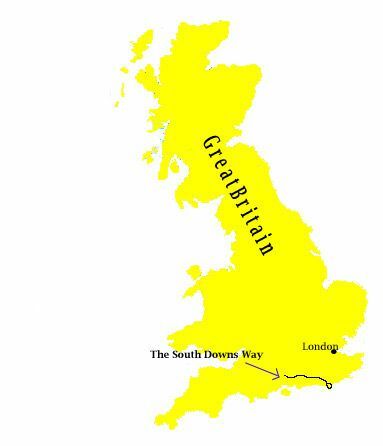 If you walk the South Downs Way as far as the Eastbourne loop, you'll see the Seven Sisters -- a series of white chalk cliffs -- and Beachy Head itself, a dramatic and rugged chalk cliff, the highest in Britain, and occasionally notorious suicide spot. The atmospheric Falling Sands Beach at the foot of Beachy Head is backed by towering white cliffs. Eastbourne also has a restored Victorian Pier and a picturesque, blue domed bandstand with a regular summer schedule of free concerts. The bandstand is dedicated to an Eastbourne musician who played on the deck of the sinking Titanic. The supremely imperious Grand Hotel is a restored, five-star, 19th century hotel, sometimes known as 'The White Palace'. It dominates the Eastbourne shore and is the way to take the air in this great dowager of a resort. It's a classic, rambling white elephant of a hotel recently updated with what the Brits call all mod cons and it makes its "Grand Hotel" namesake in Brighton look like a YMCA.